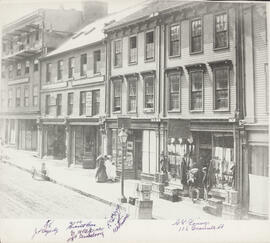 Item is a photograph of Barrington Street opposite the Grand Parade in the 19th century. 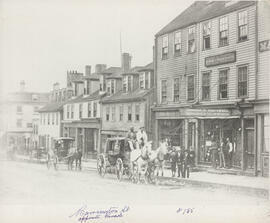 The photograph shows several horse-drawn carriages passing in front of the storefronts, which include "Robert H. Cogswell, Watch Maker and Jeweller." 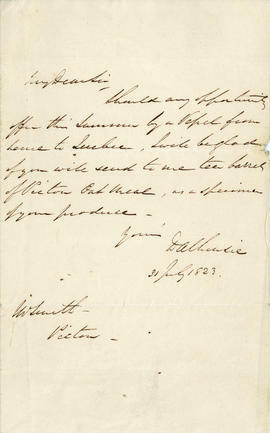 Item is a photograph of Barrington Street opposite St. Paul's Church. The photograph shows three men standing in front of a store called "J. D. Lawlor, Sewing Machine Manufacturer." 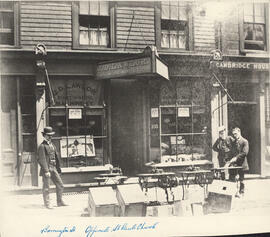 Item is a photograph of the south side of Granville Street in the 19th century. There are notes written in pen on the photograph with the names of the busnesses and their street numbers. 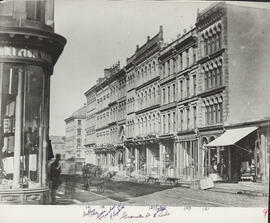 File contains reproductions of four photographs of Granville Street and Barrington Street. The photographs have notes written on them in pen.